Of all the things we do not want lose, our phones are up there on the list. Losing our phones means personal info leaked to others, money lost, and memories gone. It is all kinds of sadness. Fortunately, we can get rid of this unfortunate situation. Our smart phones are indeed smart; they are designed to help their owners find them. And they do not just give us one option, but there are many ways of protecting our phones from being lost forever, and being in the hands of someone other than us. 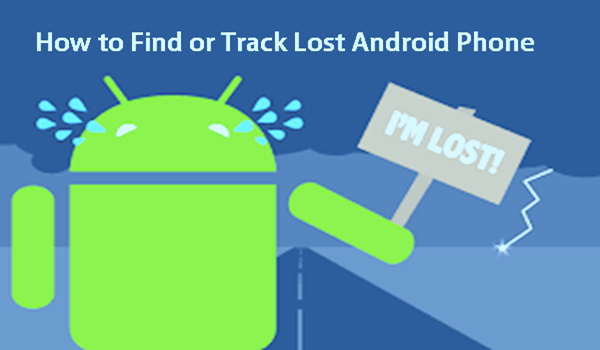 In this post, we will discuss how to find or track a lost Android phone. What you need to set up to allow your phone to be tracked? Because phone manufacturers are very particular when it comes to the privacy of their users, you will need to allow your phone to be tracked. You must set up the feature, or enable some options to activate tracking. Keep your phone connected to the wifi, mobile data or GPS. These features will allow easy tracking of phones by pointing the user to a relatively accurate location, in case they are lost. You must also have a Google account because it also allows you to track all services that they cover. Recent Android phones come with a built in the feature called Find My Device. In earlier devices, it is called Android Device Manager. So what does this feature do? When your phone is missing, it allows you to get your phone’s location. In case you would need to use Find My Device, you can use a laptop, or another phone to track the last known location of your phone. It narrows down the area where you can search. You can also remotely lock your phone to protect your information if it is stolen. This app needs to be enabled first before it can function, so make sure to set it up and allow your phone to be tracked. Otherwise, you will have to find your phone the old school way. If your phone is one of those earlier Android phones which do not have the Find My Device shortcut in the settings tab, you might need to enable some features in order to use the service. The safest bet is to download Find My Device from the Google Play Store. Select Security and lock screen. Select Find My Device. (Make sure that there is a checkmark that appears checkbox) so that a checkmark appears in the checkbox. Return to the main Setting menu. Select Location from the main menu. Tap the switch on beside Location. You can find this at the top of the screen. Go back and select Google Location History and tap the switch to turn it on. Now that your phone has Find My Device set up, as protection in case of loss. You must know your options when that situation we fear happens. There is an option to turn on the sound so that the device will play a sound when you try to locate your phone. The sound will tell you that your device is near or within earshot if you can’t see the phone. Create a passcode or fingerprint so that whoever finds your phone could not access your home screen. We have to protect our personal information. In case that the chance of finding your phone is not too high, you can erase your phone. This is the best option in order to not jeopardize your data. Note: when you are trying to track your phone and it does not pop up on the map, it might not be connected to the internet. It helps to keep on trying because the phone might be in connected to an available network again. 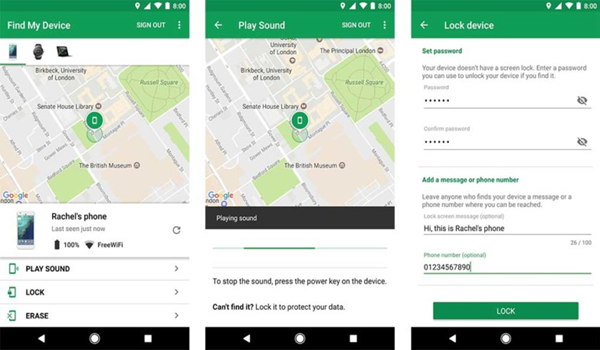 If in case worse comes to worst and you lose your phone, you can track the device by logging in to your Google account. Google should give you information about your phone’s whereabouts. This is also a pretty easy process. Just get to another phone or a computer. Here are steps on how to do it. Open a web browser from a phone, tablet, or computer. If the site asks you to login just enter your email, the email used in the device. Most accounts go through the 2-step verification as security measure. If your account has that set up, complete the process. The normal scenario is, you sit on the couch and then after an hour you stand up to get some drink in the kitchen only to go back to couch with your phone missing. This is a frustrating situation. You even start wondering if Bermuda triangle is in your living room. Phones have a habit of disappearing when not given a hundred percent attention. They also disappear at the worst of all situations such as fifteen minutes before you leave home or when you need to use the calculator for your budget plan. Your Android phone needs be logged into the Google account you use for your Google Home speaker. You need to have your Google account and voice connected to your Google Home via the Home app. Your phone must be on and connected to the internet using an available network. Your home wifi must be turned on because that helps. You need to activate your phone’s Find My Device feature. Now that you have those set up, what do you need to do in case you phone in missing? All you have to do make a search by saying “okay, Google, find my phone”. Very neat feature and command. Google will then ask you to confirm which of the devices you want to find. It will also ask you if you want to turn your phone’s sound on if the phone is silent. The best thing about Google Home is that it supports multiple user. When you linked everyone’s account, you can use Google Home to find their phones. There are third-party applications you can install to help you find your phone. Of course, there is always an app for it. One of these apps is Family Locator. This app is built as a GPS tracker app. But it has a working tracker, especially for groups. When you download this app, you can create a circle of family members or friends who gave permission or entrusted you to find their phones in case the devices go missing. If you are a parent and you want to track down your kid’s location, this is the app that you use. Which by logic also works to find lost phones? This tracker has a great design; your circle appears on a live map with their own little icons to match. You can basically see everyone moving around when you want to. And to complete the wonders of this app is the messaging feature. It allows you to send messages to those phones in your circle. Which works great for announcement and meetings? 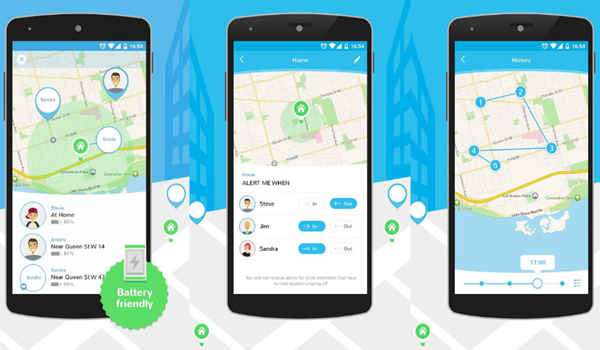 This app is pretty impressive with the range of features it offers to help you control and find your lost or stolen phone. Cerberus will allow you to lock, ring, and even erase your phone. You will also be able to remotely access your camera and turn on the device’s sound. What we love about this anti-theft app is you can actually hide the icon of the app so that if it is lost or stolen the person holding your phone does not know that it has an anti-theft app installed. It does work as a neat tracker and anti-theft tool. 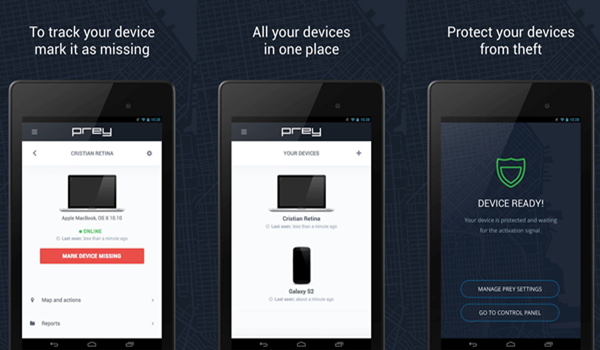 Anti-theft apps could get challenging to navigate, but Prey Anti Theft has a comprehensive tutorial to work you through using the app. Perhaps, the best feature of this app is it allows you to track three devices at a time. It also offers a wide array of features to help you remotely control your phone. You can take screenshots, lock the phone, and sound the phone’s alarm. But what we really love about this app is it is for free, and you have the access to all its advanced features without having to pay. In addition to mobile phone loss issues, Android users often encounter data loss issues. So if our data is lost by accident, can we get it back? The answer is certainly yes! Because there is a data recovery software called Gihosoft Free Android Data Recovery on the market, which is designed specifically for Android users to solve various data loss problems. No matter your data is lost for whatever reasons, you can use this software to get them back.